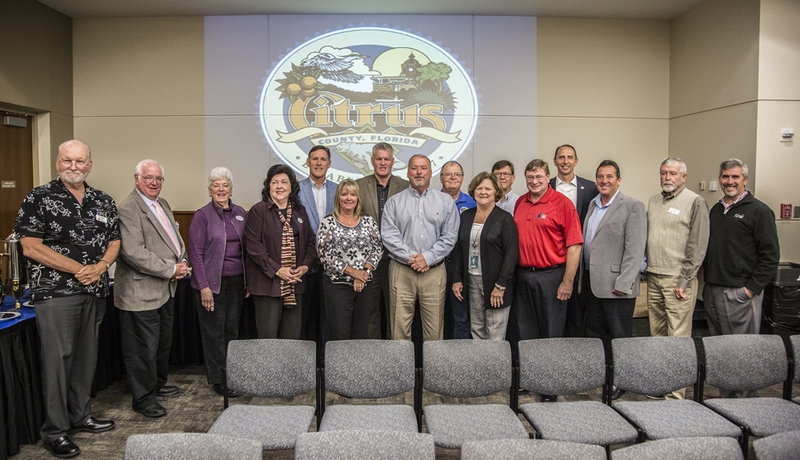 Community leaders and Citrus County dignitaries gathered on Jan. 18 at CF in Lecanto for a Leadership Summit. The Fourth Annual Community Leadership Summit was held on Jan. 18 at the College of Central Florida, Citrus Campus in Lecanto. Commissioner and Chairman Jeff Kinnard presided over the collaborative event that brought together the County Commission, Citrus County School Board, City of Crystal River Council and City of Inverness Council.